The FMCG sector in India is one of the largest chunks of the economy with a whopping size of around INR 500 billion. The fast-moving consumer goods sector typically includes a vast array of a frequently used consumer product such as dairy products, soaps, soft drinks, confectionery, fruits, and vegetables, etc. In FMCG sector the performance of supply chain holds the key. The FMCG sector in India is characterized by its complex distribution network and extreme competition requiring businesses to continuously work on the supply chain innovation. Firms with better supply chain management would do well, whereas the ones with ineffective supply chain management would find it difficult to survive in this competitive market. The FMCG sector in India works with a complex distribution system which comprises of several layers of small retailers between the company and the ultimate customer. With the number of Stock-keeping Units (SKU) increasing exponentially, ensuring the availability of goods at the final stage of distribution becomes a nightmare for the companies. And adding to the misery is the complex taxation structure in India. Fluctuating local tax structures within the country encourage traders for indulging in smuggling of goods across the states which lead to the creation of grey markets. Further due to tax on inter-state sales, companies are required to first transfer the goods to state-level warehouses on the consignment basis and subsequently supply their goods to end customers. With the introduction of GST and Eway Bill, harmonization of intricacies involved in the supply of goods across the states would be achieved and FMCG companies would see improvements in managing their supply chains. Keeping up with tax reforms, the Union Government has made Eway bill mandatory for transporters with goods exceeding INR 50,000 from one state to other. For reducing the burden of the e-commerce companies, a single Eway bill could be generated for several deliveries over the same trip. The roll-out of Eway bill would bring about transparency and efficiency in the transport of goods across the states. The organized sectors like FMCG, Pharma, Infrastructure, Manufacturing, etc. would get access to the WEP platform with various features such ERP integration, centralized management for multi-location and multi-organization, bulk EWB generation for a reliable, fast and easy to use Eway bill generation facility. The Eway Bill could be generated through modes like Web, SMS, Android App, Bulk Upload Tool and API based site to site integration etc. Transporters could create several sub-users and can allocate the roles to them. With this, the large transporters could declare their several offices as the sub-users. There are also provisions for the cancellation of the Eway bill within the validity of 24 hours by a person who generated the Eway bill in the first place. The recipient could also reject Eway bill within 72 hours from its generation by the consignor, whichever being the earliest. In case of any intra-state transfer of goods by the road where the value of each the consignment doesn’t exceed INR 50,000 but exceeds INR 50,000 at the aggregate level, the new rules say doesn’t require an Eway bill. The Union Government has changed the Eway bill rules which would help FMCG companies in the smooth movement of goods and would also ease the method to compute the value of goods. A major relief to the FMCG companies, the Union government has allowed the businesses for considering the only value of taxable supply for generating the Eway bill in cases where the sales invoice comprises of exempted as well as the taxable supply of goods. 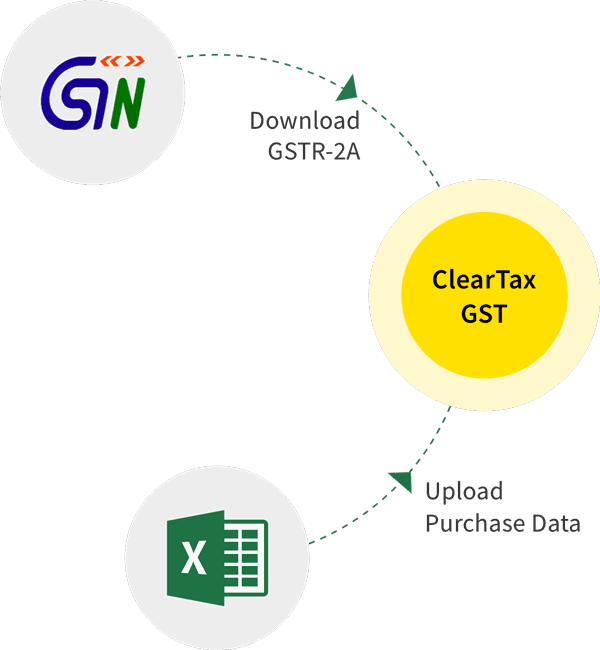 It implies that in case the food products that are under the purview of GST are sent along with goods which are exempt, like milk, then the value of food products only should be considered for the purpose of the Eway bill. Besides, to assist the smaller businesses operating within any particular state, vehicle details won’t be needed for movement of goods up to 50 km. As per recent amendments, the validity of the Eway bill would now be up until midnight of the day immediately following the date of generation of the Eway bill. When trial implementation of the Eway bill was initiated, the portal saw more than 2 lakh of Eway bills generated on a day-to-day basis. This isn’t surprising as the businesses do require generating a large number of Eway bills. Big business houses or the logistic operators with numerous consignments throughout the country on a daily basis would prefer a time-saving and simple system where they could generate Eway bills they require or update the details of the vehicles by one file upload. This is made possible with the Bulk generation facility of Eway bills on Eway bills portal. This option could be used by the user when he wishes to generate several Eway Bills or update multiple Eway bills or consolidated Eway bills with a single upload. In a business, there are several stakeholders managing the business activities, with respect to purchases, sales, operations etc. Eway bill isn’t an exception. In some cases, the taxpayers might require generating Eway bill from several places where their businesses are run, or they might require generating a vast number of Eway bills in various time shifts, or might even require generating number of Eway bills at the same point of time – all of which would require additional resources for its execution. To resolve all this, the Eway bill portal provides a provision to the businesses, where they could create several Eway bill sub-users, assign roles to them and also manage all the sub-users having the access to a portal with ease. The Eway Bill team would be providing the API interface with the Eway Bill system. The transporters or taxpayers, having automated systems, could use this API for generating the Eway bill online. The API interface would facilitate the transporters and taxpayers enabling the automated system to connect with the EWB system for generating, updating and pulling the data with respect to their Eway bills. Once, a taxpayer uses this API interface, he could write Eway bill number together with invoice details in his computerized system automatically.